Lily Breton was born in Jersey in 1853. The daughter of the dean of the island, she married Edward Langtry in 1874. She did not make her first stage appearance until 1881 but soon obtained the reputation as one of Britain's most beautiful actresses. Nicknamed the Jersey Lily, Langtry became the mistress of the Prince of Wales, the future Edward VII. Lily's husband, Edward Langtry died in 1897, and two years later she married the extremely wealthy Hugo de Bathe. Her autobiography, The Days I Knew, was published in 1925. 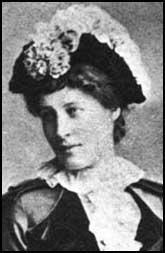 Lily Langtry died in 1929.